Reputations aren’t acquired overnight. They are forged over weeks, months and years, gained from an ongoing series of events and instances. And, given what’s happened over the last few seasons, Liverpool are in danger of being known as a nearly team. An almost team. A not quite team. A ‘better luck next time’ kind of team. Consider the evidence. Last season, the Reds reached the finals of the League Cup and the Europa League. The previous campaign, it was the semi-finals of the FA Cup and League Cup, while their sprint for a top-four finish faded only in the closing weeks. And the year before that came the thrilling Premier League title challenge that fell so agonisingly short. Not one piece of silverware was lifted during that time, not one target ultimately met. Now, this isn’t a case of Liverpool being bottlers, an accusation that has been levelled by their harshest critics and, yes, most fed-up sections of support. But there’s no doubt there’s a growing feeling this Anfield vintage need to dampen the doubts by finally getting over the line. Being in contention is one thing; finishing the job is quite another. 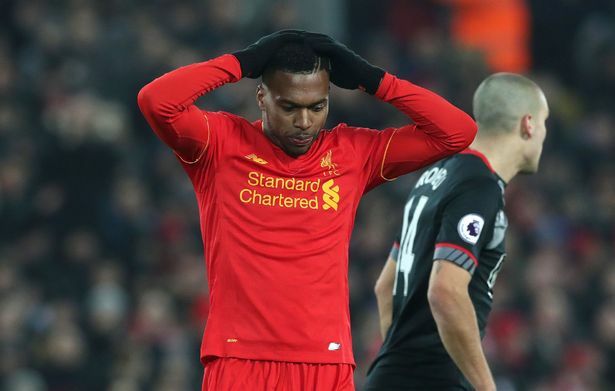 Again, this season, there have already been fears Liverpool possess a mental block at the critical moment in light of their League Cup semi-final defeat to Southampton in January. There were, of course, extenuating circumstances for that failure, just as there were for all the others. However, put them all together and you have a pattern that justifies the concerns. Which brings us to this afternoon, when the visit of Middlesbrough represents a gilt-edged opportunity to secure a top-four finish and a crack at Champions League qualification. A home game against already-relegated opposition is arguably the fixture Jurgen Klopp would have cherry-picked when contemplating how best to seal the deal. Anfield expects, albeit with trepidation borne of Liverpool’s recent travails on their own patch of just two points from the last three games. The signs, though, are Klopp’s men have the necessary resolve. Only the strongest teams, both physically and mentally, can reel off four away wins on the spin, especially at venues as historically troublesome as Stoke City, West Bromwich Albion and Watford. And the most compelling case came only last week at West Ham United. Sure, there were some iffy moments. But Liverpool’s 4-0 victory was even more emphatic than the scoreline suggests. You could see it in the eyes, in every action, that Klopp’s side want it. They know what’s at stake. And they know what is necessary. This is when the real winners step to the fore. After all, it’s not just a return to Europe’s elite on the line this afternoon – the reputation of the team is at stake. One victory, and perceptions can begin changing for the better.